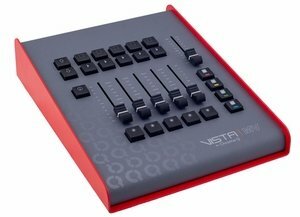 The cost-effective Vista MV can be used as a powerful, yet intuitive, standalone controller, when connected to a host PC or Mac running the Vista 3 software. Furthermore, the MV can be used as a playback extension to any existing Vista 3 system. Its compact footprint qualifies as "carry on" luggage.